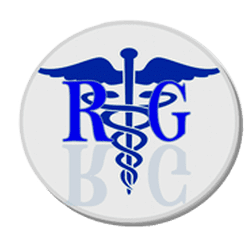 We would like to thank you for choosing Rimma Gelbert Medical PC, as your medical provider. We provide you with this document to keep you informed of our current office policies. Appointments: We see patients by appointment only. Same day appointments are usually available for urgent or sudden illness. After Hours and Emergencies: 24 hours per day answering service. Sudden Illness: We have a limited number of same day or “walk-in” appointments available every day. Please call early in the day, as these spots fill up quickly. If there are no available appointments with your physician, the receptionist will offer an appointment with the physician assistant. Cancellations: Please call within 24 hours if you are unable to keep your scheduled appointment. This allows us to provide that time slot to another patient. Remember that scheduled appointments take priority over walk-ins, so you may experience a wait if you choose the later option. We recommend that you call first. Treatment of Minors: Patients under the age of 18 must be accompanied by a responsible adult or have written permission from a parent or guardian for treatment. Lab Work: We do some lab work in our office-like glucose tests, urinalysis, hemoglobin A1C’s. These tests are drawn by one of the medical assistants. Other labs we send out to a reference lab. maintenance of good health. However, insurance benefits vary. Some policies cover “wellness” and others cover visits only when you have a complaint. Please learn about your benefits prior to your appointment so you will know what is covered by your insurance plan. Test Results: If you have diagnostic testing, i.e., lab, x-ray, echo, ultrasound, sleep study, please schedule a follow-up appointment within 7- 10 days to go over the results with your physician. Physicians will contact you only in the case of abnormal or out-of-range results. We do suggest that you call to check if your results were seen by a physician. If you have additional questions, please set up an appointment to discuss it in person with your physician. Discussion of normal results will not be conducted over the phone. Dismissal: If you are “dismissed” from the practice it means you can no longer schedule appointments, get medication refills or consider us your doctor. In this event, you will have to find a doctor in another practice. Common Reasons for Dismissal • Failure to keep appointments, frequent no-shows • Abuse of staff • Failure to pay your bill. Dismissal Process We will send a letter to your last known address, via certified mail, notifying you that you are being dismissed. If you have a medical emergency within 30 days of the date on this letter, we will see you. After that, you must find another doctor. We will forward a copy of your medical record to your new doctor after you let us know who he or she is and offer you sign a release form. We would like to thank you for choosing Rimma Gelbert Medical PC, PC as your medical provider. We have written this policy to keep you informed of our current financial policies. No Insurance: Payment will be due at the time of service. If you are unable to pay your balance in full, you will need to make prior arrangements with our Accounts Manager. Insurance: Although we are contracted with several insurance companies, it is your responsibility to make sure that our physician is in your plan. It is also your responsibility to know your insurance benefits. We will need all your demographic and insurance information prior to your appointment. We will also request an update on this information approximately every six months thereafter. We ask that at the time of your appointment you bring your insurance card and any other forms that will assist in making sure that your claim is filed correctly. At the time of service, you will be responsible for all fees that are not covered by your insurance, including co-pays, co-insurance, deductibles and non-covered services or items received. The co-pay cannot be waived by our practice, as it is a requirement placed on you by your insurance carrier. We strive to be as accurate as possible in calculating your responsibility but, with so many variations in policies and fee schedules, this is not always possible. You may receive a statement from our office for any balance due. For your convenience, we accept cash, checks, credit cards (Visa, MasterCard) and money orders. Payments are also accepted by phone. Worker’s Compensation: If your injury is due to an accident in your workplace, please inform the receptionist immediately. We are not authorized to treat you for this type of claim. You will need to contact your supervisor for instructions on how to file a worker’s compensation claim. We regret any inconvenience this may cause. Return Checks: There will be a charge assessed ($25.00) for any check returned by your bank for any reason. Medical Records: We will provide you with a copy of your medical records upon request and for a fee (.75 c per page). You will need to sign a letter of release prior to having them copied. Please allow up to 30 days for this request to be processed. Lab Work: A limited number of lab services will be billed by our office. All other services will be billed by the contracted lab. You may receive a bill from LabCorp, Quest Diagnostics, Quality Lab or North Shore LIJ lab. If you have questions about your bill, please contact their billing department prior to calling our office. We do not have access to their billing information. Billing: If you receive a bill from us, it is because we believe that payment of the balance is your responsibility and not your insurance company's. Please contact your insurance company first, if you think there is a problem. If you have any questions about your bill, please call our billing department immediately. If you cannot pay your entire balance, please call to make payment arrangements. Collections: Accounts that are not paid within 30 days begin to the collection process. If after 65 days of non-payment, your doctor will be notified and your case may be forwarded to the collection agency.